Where oh where should the love locks go? 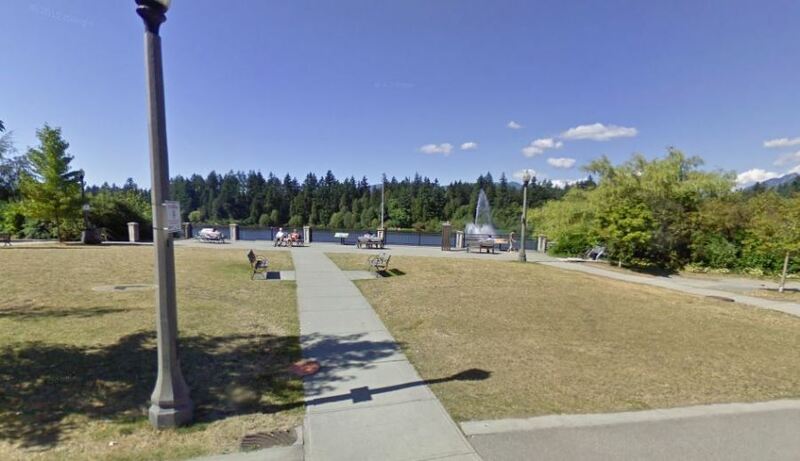 That is the question the Vancouver Park Board is pondering amongst themselves after a list of four amazing suggestions were shot down during a Monday evening meeting when the love lock proposal was approved. Queen Elizabeth Park, Prospect Point, English Bay Beach, Jericho Beach Pier and Kitsilano Beach Park Plaza were all considered due to their scenic locations and accessibility for tourists, but none were good enough for the esteemed love lock tradition. Park Board would like to see the love locks placed in “popular tourist locations that are the most accessible for people of all ages and abilities and that accessible by transit,” so we decided to add a few suggestions to the list of contenders. 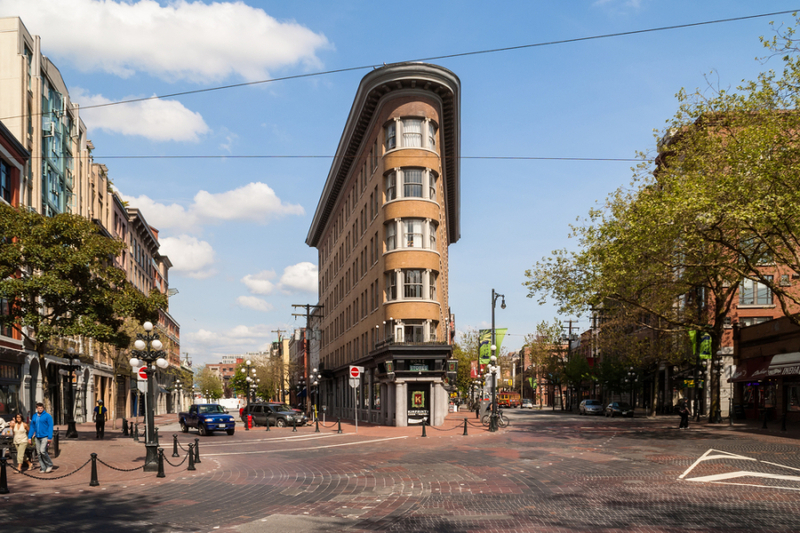 Gastown is definitely a popular spot for tourists, and with its old world charm, there are few better places where the love locks would fit in with their surroundings. An installation would look great in front of the Hotel Europe or outside the Chill Winston’s restaurant. 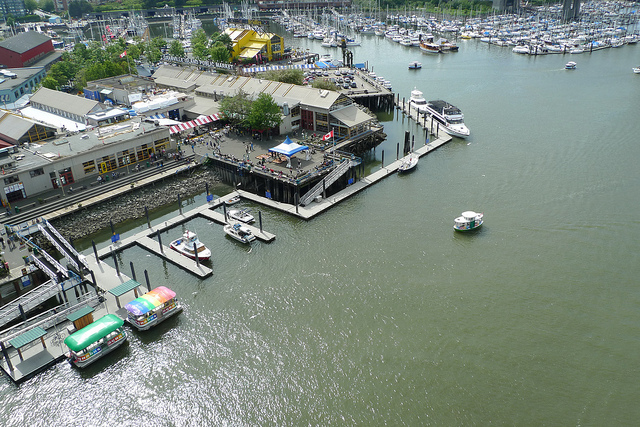 The outdoor patio area next to the Granville Island Public Market is a vast outdoor plaza with an excellent view and plenty of space for an installation. Both tourists and locals frequent this spot and the scenery is nothing short of romantic. 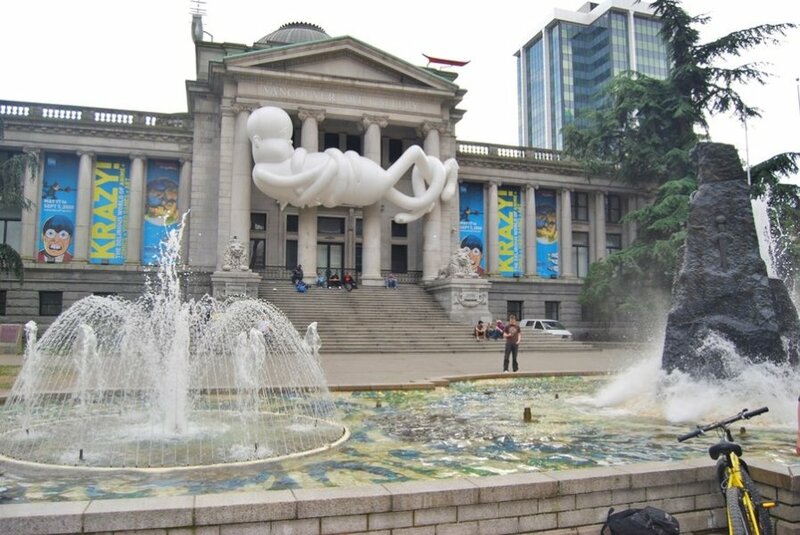 If the Park Board wanted a central location, the Vancouver Art Gallery would be the obvious choice. The big fountain on the Georgia St. side of the Gallery is currently being removed, so why not replace it was an art piece designed for the love locks? The only thing to worry about might be when the space transforms into an event venue. This look nook of paradise just on the very fringe of Stanley Park has a peaceful vibe and is also a popular location for wedding photos. The sunset over Lost Lagoon is spectacular from here and the view is lovely, even in the winter’s rain. 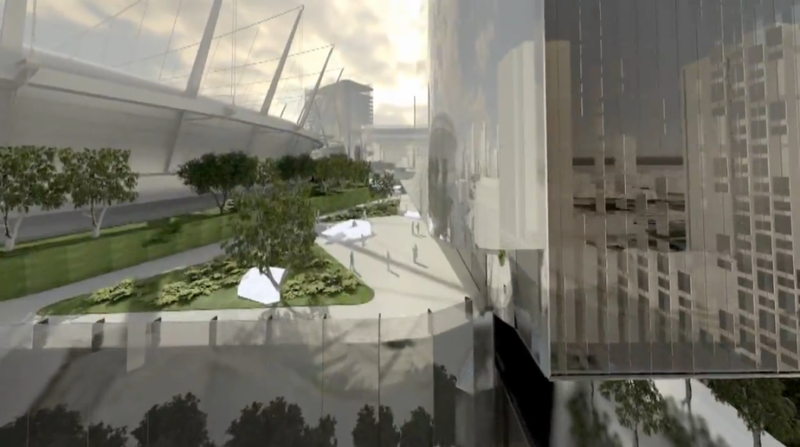 Construction has begun on Vancouver’s $535 million ‘urban resort’, a casino and entertainment complex outside B.C. Place, and it appears there may be some viable locations for the love locks in this soon-to-be busy area. The scenery may not be so great, but foot traffic will bring through a wide range of locals and tourists. 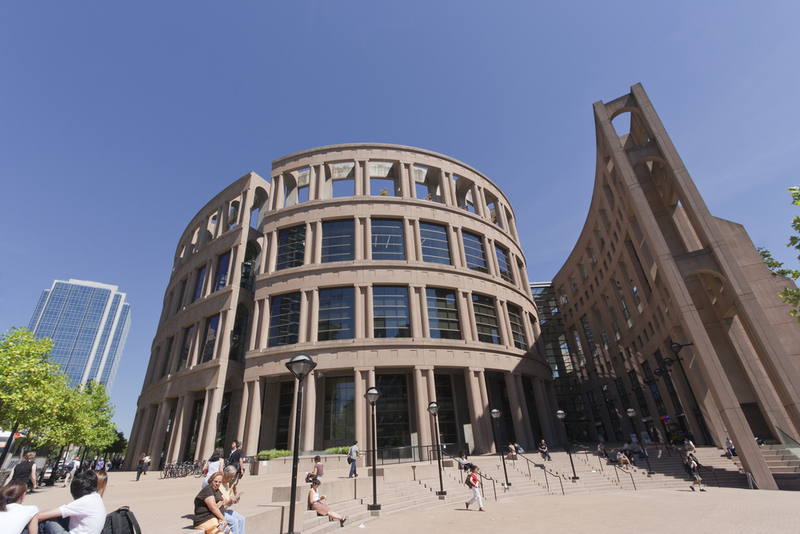 The “Words don’t fit the picture” public art in Library Square has been a great success and one of Vancouver’s most iconic structures deserves another reason to draw in the crowds. Plus, it reminds us of Rome, which reminds us of love, so it’s basically a perfect fit. Burgeoning Mount Pleasant and Olympic Village are the next big spots for tourists to check out, aside from the obvious choices. There is a lovely stretch of the seawall here that runs in front of Science World and False Creek, and this one particular section features a wide open space with a spectacular view, day or night. It’s also right next to a SkyTrain, Science World and some popular restaurants.